Inform people you have a service dog! 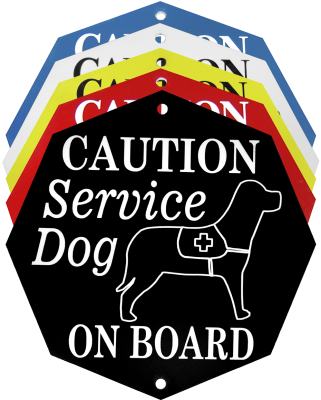 The Engraved Hanging Vehicle Sign is made from colored acrylic with recessed lettering and design. Includes two suction cups for hooking on either side of the sign. High-quality laser engraving.